…. not for mankind, but for The Frustrated Gardener. Having promised myself and Him Indoors that I would finally start work on our London garden, I have begun. Deciding exactly where to begin has been the biggest challenge; finding time to do it has come pretty close. Spending an hour or so each evening probably means it won’t be completed until autumn, but one has to just dig in (literally) and see what happens. Tonight I have been potting up any plants which are worthy of the new planting scheme, which is a surprising number. Epidemiums, Galium odoratum, geums and Sarcocca ruscifolia have all proved remarkably tolerant of the heavy soil and shade. They join an embarrassing number of new purchases, including Brunnera ‘Jack Frost’, Viola ‘Freckles’ and many and varied hostas. To my horror and shame I am discovering that things I planted several years ago have barely developed any root system, so appalling is our soil. This really demonstrates, if proof is needed, that good preparation is essential. Carving holes out of compacted earth is no way to go on, and I should really have known better. Still, if they’ve survived thus far, they should be doubly happy when I’m done. Now I must redeem myself and invest in some hearty compost and digging ….. one step at a time. 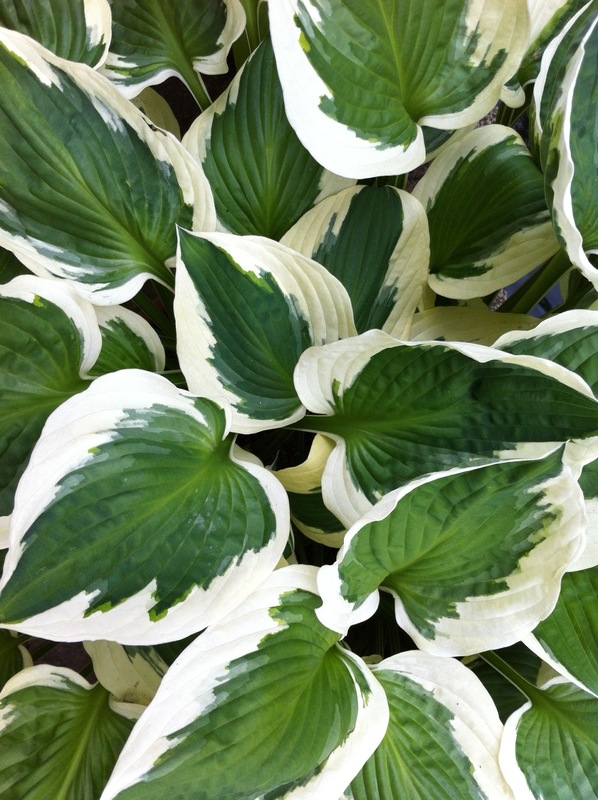 My all time favourite hosta, H. ‘Patriot’. Life is so full of “teachable moments”. Laughing about such events, learning, sharing with others is what makes it special; that has become my realization over time…The second part of that realization is that it is easier when someone shares these observations with you than when you have to share these with others..